I was a Bluehost customer. This very website was hosted on a Bluehost server for the first six months of its existence. As of now, that is no longer the case. Now I am writing a negative Bluehost review. As to the form of this negative Bluehost review, I would like to tell you what happened to this site (and to me) that permanently drove my business away from Bluehost (and, just to be safe, away from all other companies under the EIG umbrella as well). From now on, because of their inconsistent server performance, possibly shady service practices, and extremely bad customer support, I will avoid Bluehost, and I will encourage any web developers reading this to avoid Bluehost as well. So you want people to read your writing? 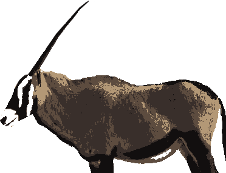 Perhaps you’ve been looking at one or more articles on The Gemsbok or elsewhere, and you’ve decided that you might want to start a blog of your own to get your writing and your ideas in front of other people. Well, that’s a great start! Many writers don’t even get that far. Making that decision is the first step toward people reading what you’ve written, so well done. Now I hope that the rest of this article gets you from having that idea in your head to having your blog up and running, fast and easy. Before anything, I would warn you that there are pitfalls when you start a blog. Managing and developing a successful blog website can be challenging. Sticking to your writing and posting schedule is the most important habit, but can be difficult. And sometimes technical difficulties can temporarily derail your project. But if you think that you’re up to the task, and really want to get your writing out there, there is some good news: the ‘getting started’ part is actually quite easy!